. : 2013 Season Results :. RICE LAKE, WI (August 15) – WISSOTA Midwest Modifieds and the Rice Lake Pure Stocks ran as support classes for the United States Modified Touring Series event Thursday night at Rice Lake Speedway and Shane Halopka along with Jason Havel were dominating winners of their respective divisions. The USMTS race was won by Stormy Scott from Las Cruses New Mexico. After battling his way into a qualifying spot in his heat race after drawing poorly, Halopka made up for it by redrawing the outside pole for the main event. That was bad news for the competition as Shane grabbed the lead from Reid Tiegs and led all twenty laps of the main event. After two first lap yellows, the second of which saw Alan Bohlman Jr parked on top of Cole Spacek’s car, the race ran nonstop for the last nineteen laps with Halopka leading all the way. Travis Anderson moved into second and tried to stay with Halopka but he was eventually passed by Ryan Viltz for that spot. Viltz also tried to track down the leader but there was no slowing Halopka Thursday as he stretched his margin to nearly the length of the straightaway. The race for third was a good one as Anderson tried to protect his position from Mike Truscott who was working the high side of him. Truscott couldn’t make the pass however and Grant Southworth then moved up to the high side and with a fine move in turn one, swept past Anderson to take over the third spot. However, the laps ran out on him and he has to settle for the third position at the finish. Anderson was slowed by a deflating tire in the late going and Truscott took the fourth spot with Nick Koehler following. For Halopka, it was his second win at Rice Lake this year as the point runner up in the Midwest Modifieds becomes the first repeat winner in the division all season. Havel has been having bad luck at the track the last couple of weeks, but he shook that off Thursday with a strong performance in the Pure Stocks, dominating for the win and pulling away from point king C.J. Wagner along the way. Havel started on the pole and established an immediate lead with a good battle amongst Jared Amundson and Nick Traynor for second. Wagner was on the move from the third row, and he swept to the high side of the track and took over second. The race got stuck on lap four, with three straight yellow flags slowing the action, the worst of which was a chain reaction collision eliminate Dustin Doughty with front end damage. Havel continued to lead as the last ten laps of the race ran nonstop and he pulled away from Wagner as the race progressed. A good battle for third saw Amundson fighting to hold off John Erickson, Bob Thompson and Traynor. In the last few laps Thompson picked up the pace on the high side and raced into third with Traynor and Erickson next in line. The victory was Havel’s third at the track in 2013. 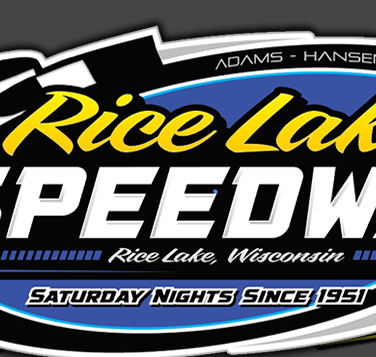 The next racing action at Rice Lake Speedway will be on Saturday, August 24 when the Season Championships will be held. 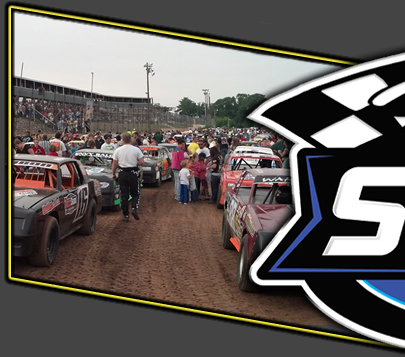 Racing will be WISSOTA sanctioned Modifieds, Super Stocks, Midwest Modifieds and Street Stocks along with the Pure Stocks. Cars will be lined up in their heat races by points accumulated during the racing season with the feature races set by the heat race finishes. Hot laps begin at 6:30 p.m. with racing to follow. 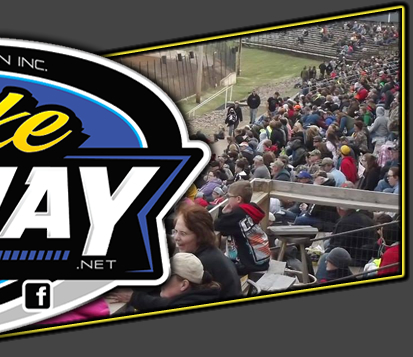 Wrapping up the racing season at the speedway will be a two day event on Saturday, August 30 and Sunday, September 1. Hornets will join the other racing classes for the first time ever at the track, with a special event for the Hornets along with the Pure Stocks on Saturday along with qualifying for the other four classes and main events along with another Pure Stock show on Sunday.